Reflexology Sandals Are you too tired to take your kids to the park Do your feet hurt so much you can't even take the dog out for a walk Perhaps you don't take good care of your feet and body. That's why nowadays the old Egypt and Chinese science of Reflexology is taking more importance due to the results of overall healing in your body. It is understood by all Reflexologists that the feet soles reflects the body, the left area on the left foot and the right area on the right foot. Reflexologists segregate the body into ten zones, divided in five areas on each side. All parts and organs are represented in these areas. Therefore, the Reflexology Sandals were created to heal your body through your feet. 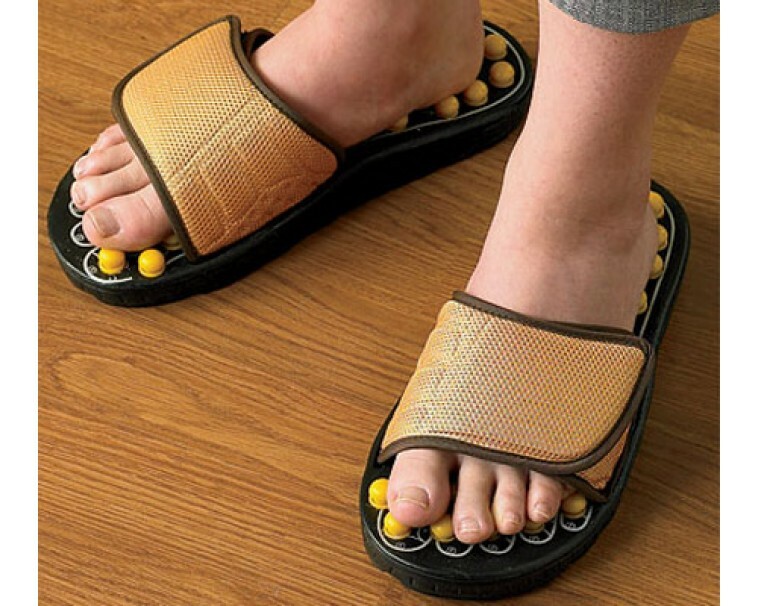 These acupuncture massage sandals contain nodules that apply pressure to your feet soles, improving blood circulation, preventing legs cramps, headaches and encourage full body wellness. In fact, the continuous use of these Massage Sandals will eliminate stress and reduce neck and shoulder tension. The Reflexology Sandals are created with anti-microbial materials to eradicate foot odor. 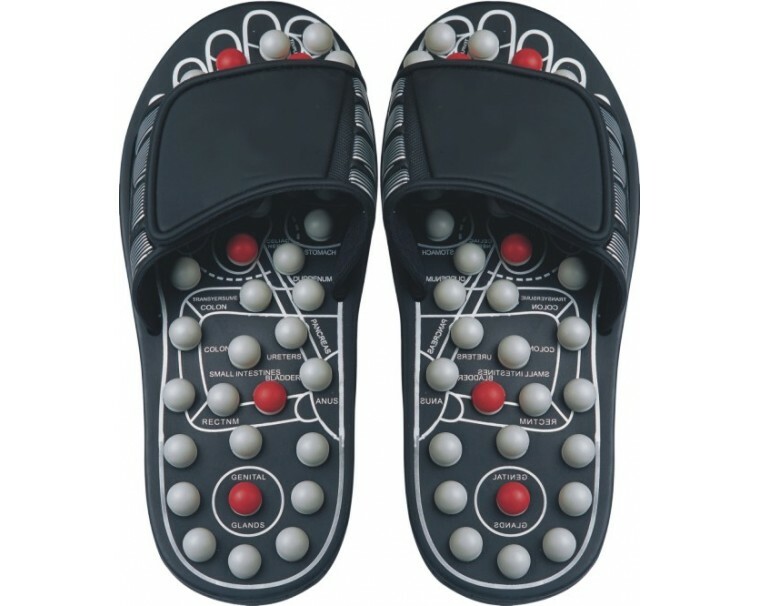 These acupressure sandals come in 5 different sizes: Extra small, Small, Medium, Large and Extra large. I’m quite unhappy with my purchase. My feet are a women’s size 11, I ordered a medium sized pair of sandals thinking that since it’s unisex it the medium size would probably suffice. I was wrong, my feet are 11’’ long and the sandals I received were only 10’’ long. Too bad the sizes are not defined on deluxecomfort.com and they even sent me a pair completely different from the one pictured in the advertisement. The bottoms are totally solid and cannot be stretched at all. These sandals are lovely. At first I couldn’t bear the pain of walking with these on, I needed to wear socks with them to prevent them from hurting my feet too much. But after a while your feet will get used to the pressure and you will be able to wear them around your house walking in a normal pace as your feet get accustomed to them. It may hurt you but DO NOT STOP WEARING THEM, if they do try wearing a pair of socks and gradually decrease the thickness until you’re used to it. This is extremely GOOD FOR YOU. Rule is, if it hurts under even the right pressure then the Chi of that certain area is stuck and must be stimulated. GREAT PRODUCT.